Full-size guitars are perfect for performance. On the other hand, junior guitars are the best in terms of mobility. The Big Baby Taylor sits right in between a full-size guitar and a junior guitar. But what is this guitar really good for? Is it more of a travel guitar? 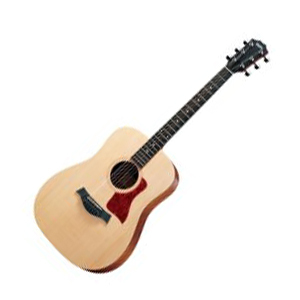 Or, is it better as a performance guitar? Taylor Guitars is one of the most popular guitar brands today thanks to its commitment to producing top-notch acoustic and classical guitars. 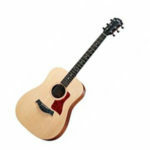 The Big Baby Taylor has secured its place among the top-selling guitars under $500. Taylor Guitars’ secret to this feat is not really a secret at all. The Big Baby Taylor boasts a good balance of mobility and playability, and it is dressed to impress. The Big Baby Taylor has a distinct body size that is a little smaller than a regular dreadnought with no cutaway. Specifically, the body’s depth is at 4 inches and the scale length is at 25.5 inches. This makes the tone and projection of the guitar closer to a regular dreadnought. On the physical side, the Big Baby Taylor looks pretty good in a smooth, light brown color. The X-braced top is made from solid Sitka spruce, while the back and sides are made from laminated Sapele. The body is all coated in a glossy matte finish, making the guitar look more refined. The neck is made from solid sapele as well with authentic African ebony fretboard that houses 20 frets and simple dot inlays. Since it is more slender and smoother, players across the board will enjoy this Big Baby Taylor experience. The hardware of this guitar is much more distinct, veering away from plastics and the usual cheap materials — a testament to the craftsmanship of the brand. The saddle sitting on the African ebony bridge is made of Micarta, while the bu is made of Nubone, which has a similar consistency to the more expensive Tusq. On the standard headstock is a set of chrome die-cast tuners. In terms of sound, the Big Baby Taylor is quite impressive. Despite having a smaller body, this guitar delivers plenty of projection, resonance, and sustain. If you are going to compare it to the original Baby Taylor, this one has a better sound. This is because of the unique depth of the body, thanks as well to the tonewood used that it gives out a sweet and balanced sound. 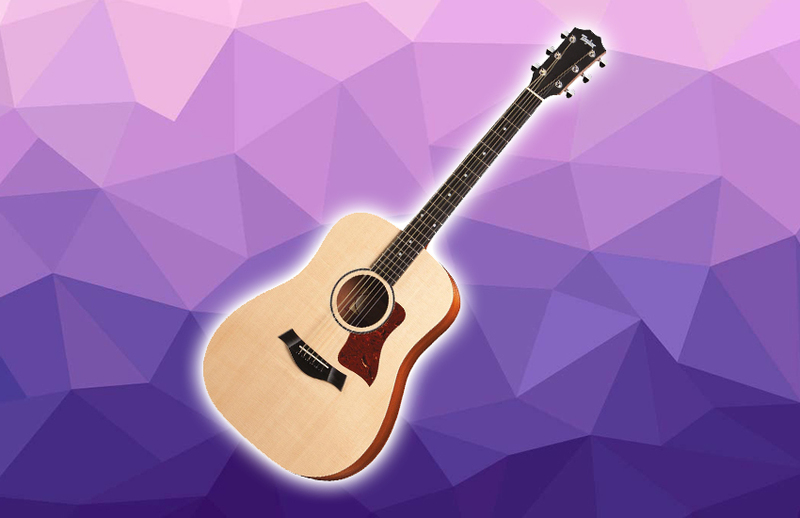 The Sitka spruce top contributes well to the crispness and richness of the sound. Not only does the Big Baby Taylor is portable and easy to carry around, but the layered sapele also protects the guitar from temperature and humidity changes. That makes it perfect for constant traveling. The Verdict: Should You Buy Big Baby Taylor? The Big Baby Taylor does not have the sound of a premium full-size acoustic guitar. One thing is for certain, it has the sound that is way above average. Not to mention it is great for traveling. So, going back to the question of whether the Big Baby Taylor is more of a travel guitar or performance guitar. The answer is pretty obvious — it has the best of both worlds.